Planning a special breakfast in bed for your Valentine? 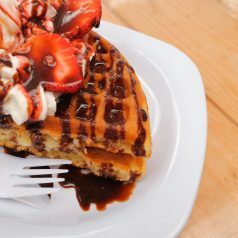 Or perhaps you want to practice some self-love and treat yourself to an indulgent breakfast? This recipe is no fuss but all of the frills, so it’s perfect for the occasion. You’ll find the ingredients at a great low price in our weekly sale from February 7th – 13th, leaving you room to splurge on a decadent box of chocolates and a nice bouquet. 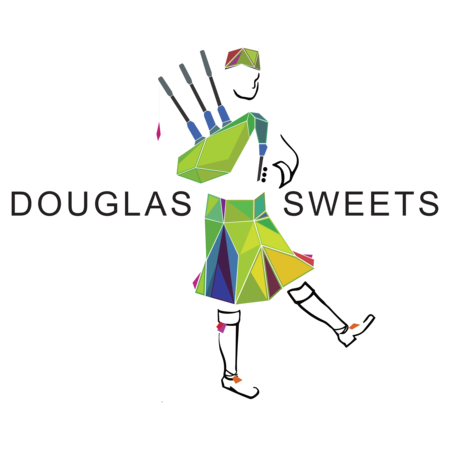 Armed with a traditional shortbread recipe developed and perfected by her Scottish mother, founder Debra Townsend, along with her daughter and co-founder Hannah (named for her inspirational grandmother), launched a business out of the kitchen of their condo. 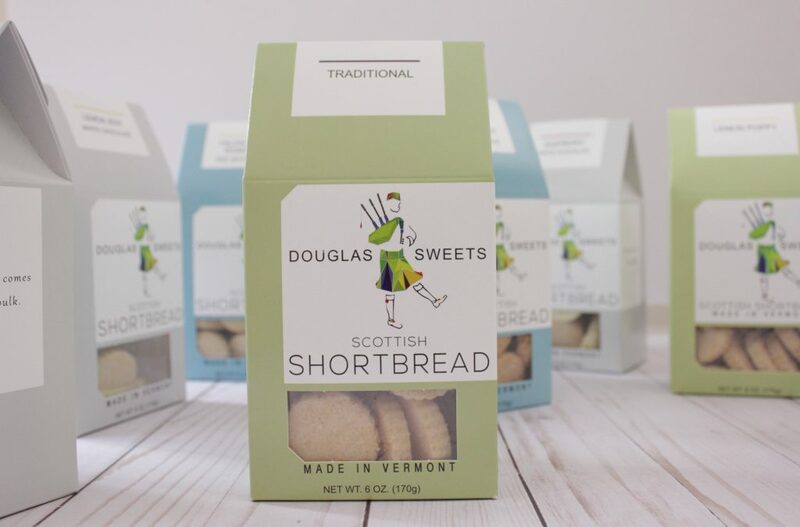 Fast-forward a few years and countless batches of these delectable, buttery shortbreads, the Townsends needed to scale up, moving their business into the Vermont Artisan Village in Shelburne where they also operate a retail bakeshop. There you will find their signature shortbreads along with great coffee and an array of baked goods from fruit tarts to cheesecakes, all of which are made with their famous shortbread dough. The Townsends are committed to using Vermont ingredients like King Arthur Flour and Cabot butter whenever possible. 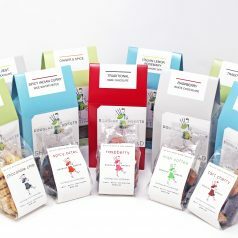 At the Co-op, you’ll find their sweet and savory buttery shortbreads in a wide variety of flavors ranging from the original traditional Scottish shortbread to more exotic flavors inspired by Townsend’s world travels like spicy Indian curry, Italian lemon and rosemary, or Thai sweet basil and peanut. 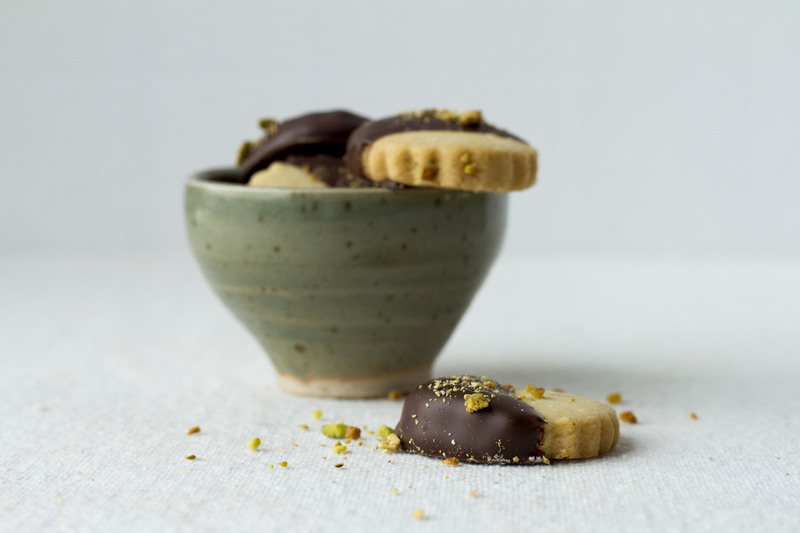 The bakers offer the shortbreads plain or dipped in chocolate for an even more luxurious treat! Planning a sweet breakfast in bed for your Valentine? 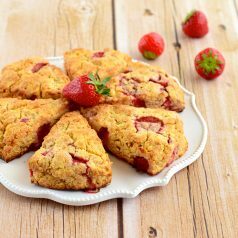 These scones are sure to score you some extra smooches! Many of the ingredients are featured in our weekly sale from February 8th – 14th, so your wallet will be happy, too.